This year has been momentous for STOP! 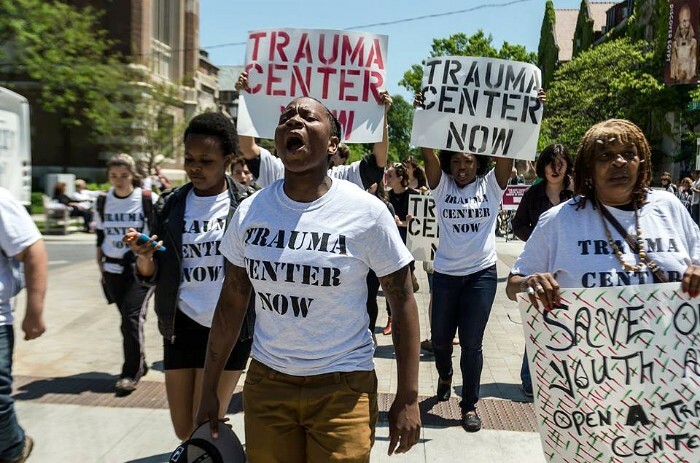 After 5 years of struggle we've finally won a Trauma Center at the University of Chicago! "I joined this organization back in 2010, it exposed me to institutional racism and how it affects the black community. This win goes to show the power that young black people have when we work together." Now we need YOU! Our fiscal year is almost over and we are $4000 short of our fundraising goal. Please donate today. Your donation will help youth and community have a voice in planning the trauma center and advocate for the trauma center to have violence prevention programs! *If you would like your donation to be tax deductible, please make your check out to the Illinois Justice Foundation and mail it to STOP.